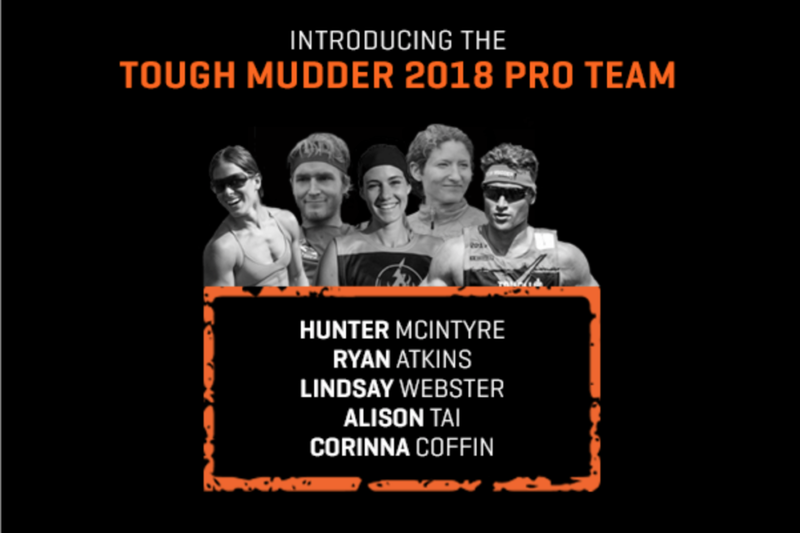 Tough Mudder announced today its Pro-Team for the 2018 season. With both new and returning faces, the Tough Mudder Pro Team features some of the best in the OCR Industry. Returning to the Pro-Team this year are the OCR power couple Ryan Atkins and Lindsay Webster. Hunter “the sheriff” McIntyre also returns for another season. New this year are Corinna Coffin and Allison Tai. Coffin dominated the Tough Mudder X series last year taking home the $25,000 prize purse. Tai has year after year been a competitive force annually at World's Toughest Mudder and last year at the Toughest Mudder Series. Not returning to the pro-team this year is Stef Bishop. The new Tough Mudder Pro-Team represents all aspects of Tough Mudder competitive events now called the Tough Mudder Fittest Fastest Toughest World Championship Race Series. Coffin is known for her functional fitness skills and speed which propelled her to TMX glory in 2017. McIntyre is known both for his strength, speed, and ability to adapt to multiple distances both the TMX and Tougher Mudder events. Webster and Atkins are known for their ability to excel at nearly any distance. Finally, Tai is known for the long sufferfest events which she excels. This year Tough Mudder is all in for the competitive athlete with over $500,000 in prizes. With more competitive offerings, more prizes, and a more robust pro-team Tough Mudder is all in for the competitive obstacle course racer in 2018.